In celebration of finishing my Christmas shopping, and wanting to feel the Christmas spirit, I am doing 4 days of Christmas posts. 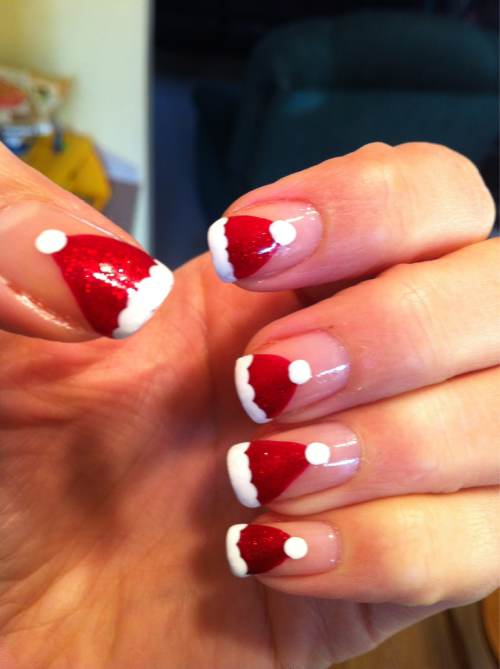 I'm behind on doing my Christmas nails! 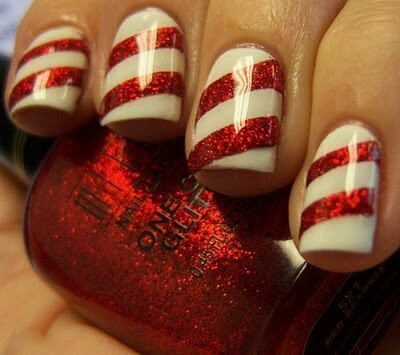 I'm doing red with white shatter on top, and solid green on my ring finger nails. 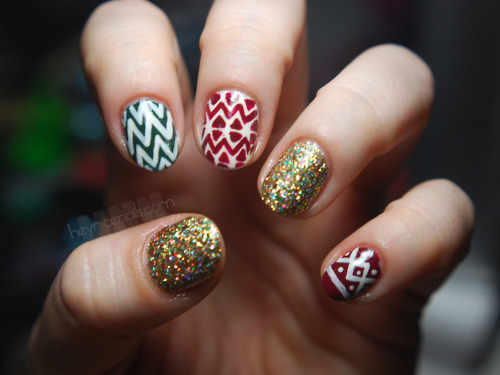 I did my nails like this last year! 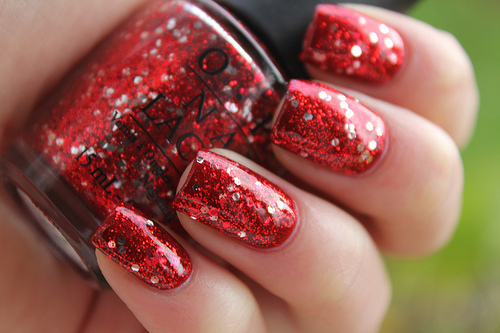 Can't go wrong with simple red glitter! I would have done 5 christmas posts but yesterday was really busy. I spent most of the day at work, and then trying to delete a virus on my computer. It was the smartest virus I've ever dealt with but I got rid of it! I'm such a Nerd. ANYWAY.Hope everyone is inspired and tries out some great nail art!